Sadhana forest is a wonderful community in Auroville, working towards reforestation, water conservation and sustainable living. Once you spend some time in here, you cannot forget this place. I am already missing the beauty of community living, the delicious vegan meals, planting trees, the heart to heart conversations and lots more. Those two weeks were magical. Wake up to the beautiful song, sung by human alarm clock at 5.30 in the morning, getting ready by 6, Going for the morning circle and doing Sadhana stretches before the first seva. And then going to the forest for planting trees and preparing the soil, that too in the rains. Coming back at 8.30 for the vegan breakfast, sitting in a big circle and having the vegan breakfast together after a moment of silence in the main hut. Again indulge in other activities from 9.30 to 12.30 and coming back again for the vegan lunch. Attending the workshops in the after noon or going to Auroville in the rumbling mopeds through the muddy red earthen roads. Again coming back for having dinner together in the main hut at 6 in the evening. And all those after 7 sharing circles, non-talent shows, eco film screening.. it was all fun. And of course the night outs on Thursday were interesting too. Those were the best days. What if you want to experience all these? At Sadhana forest everyone is a volunteer. Just go to Sadhana forest before noon, on any days, except Thursday, Saturday and Sunday and enrol yourself to become a volunteer. There are two options available. Either become a short term volunteer or a long term volunteer. For Indian residents the minimum period of stay is lesser. As a short term volunteer I paid ₹ 300 per day towards my delicious vegan food. Accommodation is also taken care without paying anything extra. For long term volunteering, do contact Sadhana forest. What all are volunteer’s works? Planting trees, gardening, maintaining the community area, cooking, cleaning, having fun etc. And at Sadhana forest, it is not Work, it is Seva or selfless service. Anything that I should NOT be doing? Do NOT smoke, drink or use drugs both inside and outside of Sadhana as long as you are part of the community. Also do not take part in any competitive games as Sadhana forest believes in an Non-competitive environment. What else are the Sadhana Forest philosophies? Veganism, sustainable living, organic living, off the grid living, gift economy, unschooling, recycling, zero waste policy are just to name a few. is there any internet or other facilities inside the forest? WiFi internet is available when there isn’t any technical problems. Electricity for charging your electronic gadgets is available through solar power. Though care is taken to use electricity wisely. During monsoons a bit more strict measures have to be taken. Is there any wild animals in that forest? Not that I know. I have seen a few dogs, some humans and pretty much nothing else. that doesn’t contain any animal product. For eg., milk is not used in Sadhana forest. Is anything difficult in there? During my 2 weeks stay I didn’t find anything difficult. But some people might have uneasiness in getting used to the compost toilets. They are squat toilets and only water is provided for cleaning purposes, not toilet paper. what all things should I carry? You need to carry any of your photo identity proof. Most of the daily use things are provided including organic toiletries, blankets and sheets. I recommend you to carry a torch light or head light. Why asking so much questions! Visit Sadhana forest during the Friday Forest tour and understand more about the life at Sadhana, enjoy the Friday eco movie and get the taste of Sadhana forest vegan dinner. 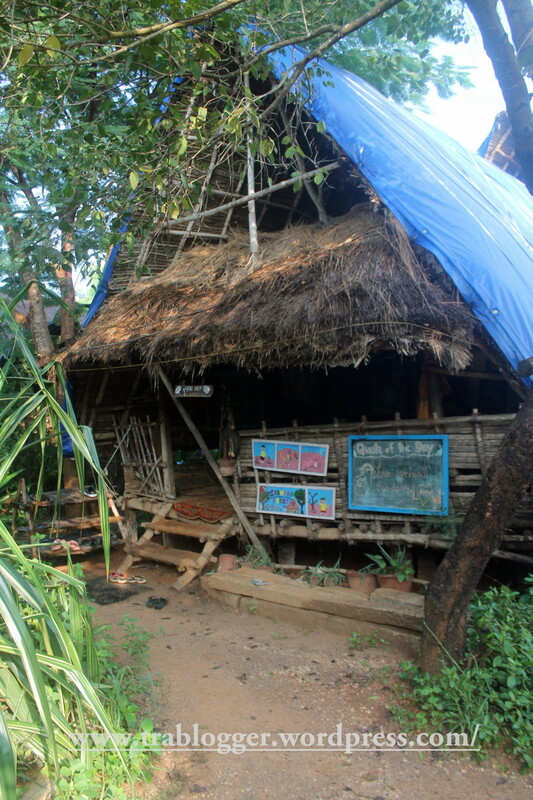 A mini bus will pick up people from Auroville solar kitchen at around 3.30pm every Friday for Sadhana forest tour. So that is all about question and answer session. 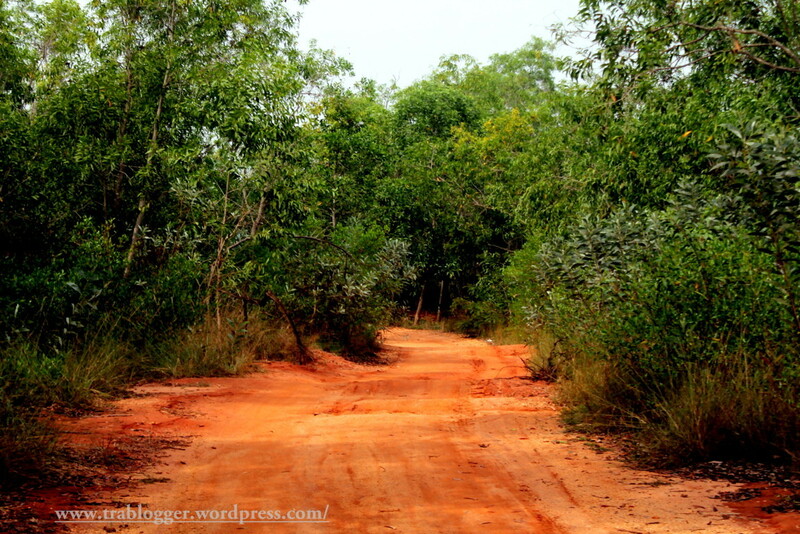 Sadhana forest was founded in 2003 by Aviram and Yurit as an ambitious reforestation project to change the fate of a vast arid land near Auroville. Then gradually people were interested and volunteers joined. Now ‘Sadhana Forest India’ is one of the largest residential volunteer projects in the world. More than 1000 volunteers comes to Sadhana forest India in a year! Also there are Sadhana forests in Haiti and Kenya. If you want to be part of any of these Sadhana forests, ie India, Haiti or Kenya do contact Sadhana forest. See who I found today? Sure, that Friday tour will give you a complete idea. Many people join as volunteers after that trip. Yea, once a volunteer, always a volunteer. There are people volunteering for very long time! Thanks to you 🙂 So are you planning to visit Sadhana forest Kenya?! But Sadhana forest is not an ashram. 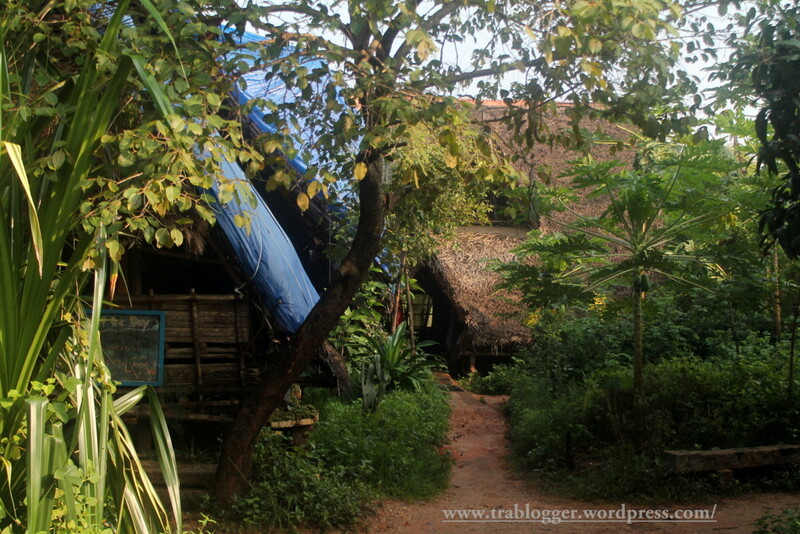 It is one of the many units in Auroville. When you read the day 3 n 4 etc you will come across other units. They are not ashrams nor part of it. Nice one Jithin. 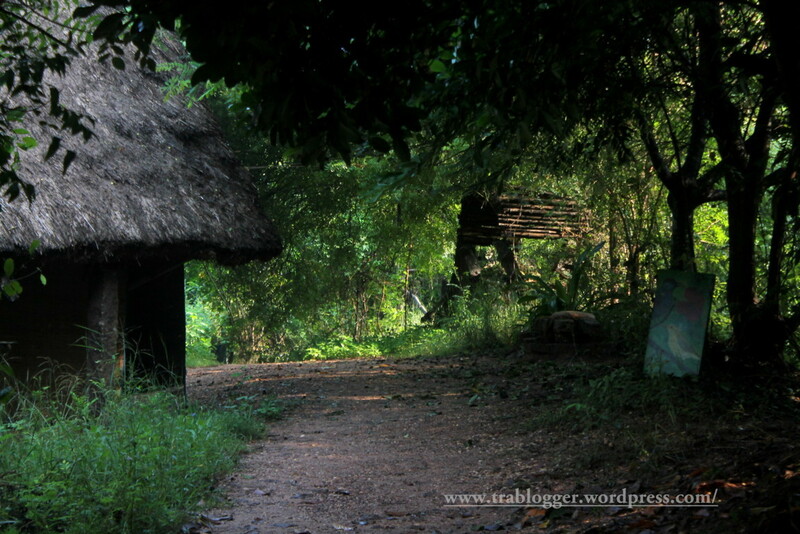 You explored every bit of Auroville, looks like it. Thank you. Not every bit, but a little bit. It is such a huge place, and it will take at least a year to get the essence of each and every place, I believe. So you are a morning person! haha.. interesting! 😀 Anyway that is just what you think!! Not yet. I am still rudimentary in basic writing,so fiction seems like distant mountain… Why ? ?